It may look pretty functional on the outside but Hotel Stella is a good option for those wanting to stay somewhere close to the airport, or near to Zagreb's exhibition centre, without wanting to brave city centre traffic and prices. On the main road to the airport, there's not too much else around but a walk through the back streets reveals a couple of nice cafes and an old wooden church. The helpful staff will send out for a pizza or something similar as the hotel facilities do not run to a fully fledged restaurant and the nearest restaurant is a long walk away. There is a bar however, and a smoking area near reception to help Croatian guests get over the shock of non smoking rooms. Wireless internet is available although the complexity of the pricing structure is a little offputting at first, as is how to use it. You have to go onto the hotel website ignoring all sorts of security notices, but it works and it's better to go for more time than you need rather than paying high rates for the odd hour. The rooms are modern and very well equipped - driving from the south the signs show four stars; from the north three. The rooms are definitely 4 star but the lack of peripheral facilities tends towards the three. There's ample free car parking for guests and, when we were there, the hotel manager was kind enough to let us leave the car behind for a few days rather than parking at the airport at 70 kunas a day (taxi 100 kunas/10 minutes). Even better there was none of the normal disgruntlement on the return taxi journey that you would get from a London cabby on a short run from Heathrow. It's not cheap at 540 kn for single use of a double room, and 790kn for a double, breakfast included, but, compared with city prices for the same degree of comfort, it's a snip. The first impression is a rather efficient and cold set up but we had the chance to spend a few days there and the ice soon melted! 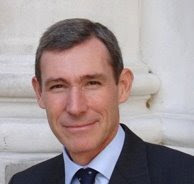 The new British Ambassador to Croatia, David Blunt, held a reception in Split yesterday, supported by many of his team. Distinguished guests included Župan Mr Ante Sanader and Mayor Mr Ivan Kuret. In a speech made almost entirely in Croatian, the Ambassador stated his intent "to deepen and broaden" the relationship with Split and the surrounding region, and that the UK sees itself "as one of Croatia's closest friends and a key partner" ... "amongst the strongest supporters of Croatia's EU and Nato membership." Apparently the British Government invests at least €26 million annually in the relationship and is working on a number of key issues with Croatia such as supporting improved public administration and court management, and building capacity and effectiveness on border controls. That's not to mention the significant investment in Croatia by a number of UK companies. The Ambassador said that he and his team were also working hard with the media to help them report more knowledgeably, especially on EU issues, but also to increase awareness of "just how extensive is this programme of UK engagement with and in Croatia". There was also something for the British community in the area who were reassured that effective consular services were a personal high priority for the Ambassador and that all feedback was welcome. In our previous posting we referred to the joys of exploring Croatia off season. Krka National Park is one of the places that can get overloaded in July and August, but if that's the only time you can visit, it's still worth it. However if you can get there away from the crowds then the experience is so much better. Skradin is the focal point of the park, the testimony to which is the new National Park centre which opened last June and is equipped with all the latest technology - touch screen computers, lcd displays and a vast array of information, all neatly tucked away in a modern and functional building just out of sight from the lovely old town itself. From Skradin we decided to visit Roški Slap, a good twenty minute drive away along a country road, through the narrow streets of Rupe, past a few steep drops, and, on this occasion, past a few bemused workmen who were improving the road and thought that the route was closed. The waterfalls at Roški Slap are less dramatic than those that the boat from Skradin will take you to, and have less interlinking walkways (just one wood bridge in fact) but are none the less impressive in perhaps a more unspoilt way. At this time of year it just seems to be a wildlife playground, particularly for mallards. Croatia clearly takes its natural heritage very seriously indeed and it's extremely refreshing to see money invested wisely in increasing the facilities and information available to allow enjoyment of Krka and its surrounds without spoiling them. Todays photo is of the mallards enjoying themselves at Roški Slap after a busy tourist season. There are many good restaurants in Skradin and we've mentioned just two below - one we know and the other one we like the look of. Zlatne Skoljke, in the centre, has a strong reputation, was good when we ate there a year or so ago and we continue to get positive feedback - prices just a little above Dalmatian average. Konoba Cantinetta, is on the "outskirts" of the town but such is Skradin's compactness that it will take less than 5 minutes to walk there from the centre. It's terrace, open fire and exterior look very inviting even when it's closed on a cold day! The other good news is that a new hotel opened last year in the National Park and that's open all year round too. 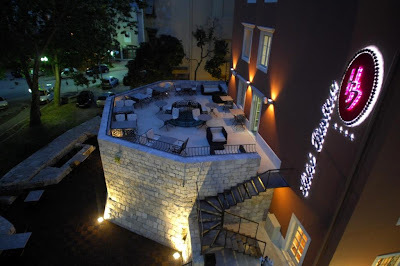 Hotel Vrata Krke is about a 10 minute drive from Skradin and is purpose built and self contained, so there's no longer any excuse not to visit the Šibenik area out of season - all the delights of nature at its best and one of Croatia's best unspoilt cities to explore. What better way to celebrate all that's good about Croatia than at a wedding. Just an added bonus that the bride's mum happen's to have a perfect sea view house, lovely friends and family, and very good connections within the catering industry! Congratulations to Petra and Marijo and we wish them the very best of health, wealth and happiness. Thanks to all concerned for allowing us to share their day with them. We discovered this week that Croatia Airlines have dropped direct flights between London and Split for the winter. 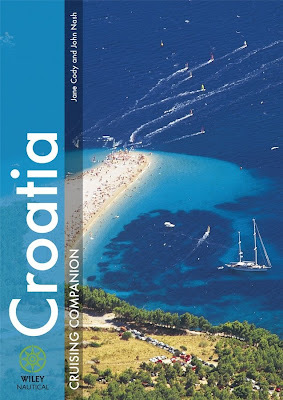 Croatia Airlines have been flying direct, once or twice a week in the winter, since we came here 6 years ago. With British Airways dropping flights to Split this year that means trips via Zagreb are unavoidable in winter. Apparently the change was carried out by stealth - no warning - and a lot of hotels, and other organisations directly affected, are campaigning vigorously for a reinstatement! So many stories to tell and not enough time to tell them! Croatia Online's small editorial team is suffering from a surfeit of news and a serious time deficit. Whilst we will be catching up on the last month's news in due course, we couldn't leave last night's story untold for long. We've reported on the the work of the falconry ("sokolarski") centre in Dubrava, near Šibenik, in a previous posting - see http://croatiaonline.blogspot.com/2008/07/croatia-online-falconry-centre.html. However last night's story is more an illustration of how a small and inspired conservation organisation, in a tiny village, in a small country, can make world news. Some months ago an injured eagle owl was brought to the centre with its wings badly damaged. Under carefully measured anaesthetic, the team matched the 30 damaged feathers with those in its feather bank and, in a process known as imping, linked these new feathers to the shafts of the damaged feathers, with pins and rods. After a rest and a full inspection the owl was released swiftly back into the wild at the precise spot where it was found (recorded on GPS), and before another bird took over its territory. Just as remarkably, the whole process, including the flight back to the wild, was filmed by Hrvoje Gunjace, a journalist for Croatian television. He documented the imping and the release, and it was picked up by CNN World Report who broadcast it around the world, shining the spotlight on both the unique work of the Sokolarski Centre, and a very happy ending for the owl in question. We saw the CNN film clip at a presentation in the new and very modern Šibenik Library, yesterday evening, and understand that the original Croatian reporter is to receive an award for his work. That award is very well deserved, as is the increased exposure that the documentary has given to the very enterprising and noble work carried out at the centre. Emilio Mendjušić, the centre's founder and continuing inspiration (pictured left) doesn't stand still for very long and is now in the process of extending the veterinary facilities to include a veterinary centre catering for all animals. This will help contribute funds to the centre and help the two resident vets (Emil pictured right) earn a living whilst they continue to provide honorary services to the centre and the injured wild birds of prey that are brought there. Victoria Norman (pictured centre) is a doyenne of falconry and came from England two years ago to volunteer for the centre. All three were intensly involved in all stages of the rescue and "repair" of the owl which is just one of the many aspects of their work at the centre. Even happier news for the celebrity owl is that after two years, his "imped" feathers will moult and be replaced by brand new ones without the pins and rods! PS - If you want to see the video, we've just found it on YouTube - follow this link: http://www.youtube.com/watch?v=529m2CA6POw. Victoria Norman was most excited about the fact that the whole operation was done under carefully measured anaesthetic - the first time in her experience that it's not been done on a bird that's awake. Although there's no pain involved it is very stressful for the bird and especially one that needs 30 new feathers.